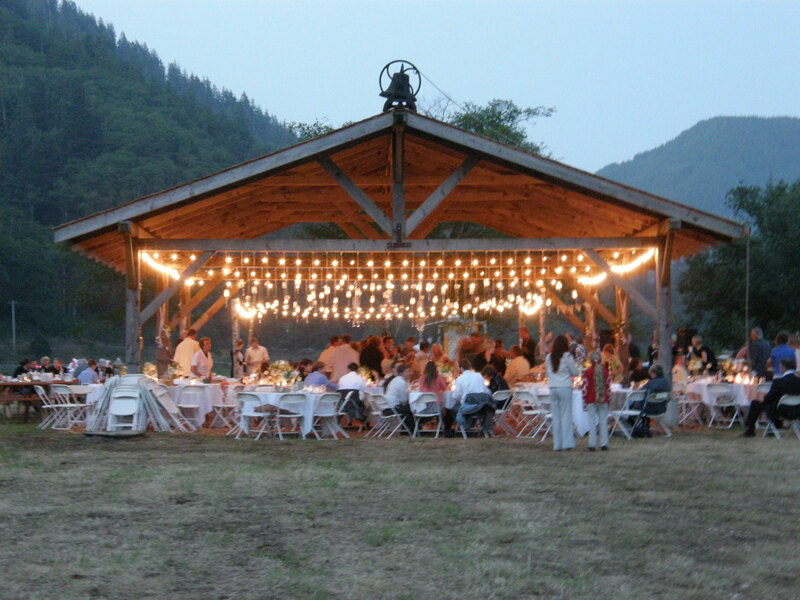 Quickly becoming one of the coast’s favorite wedding venues, The Hydrangea Ranch is located on one of Oregon’s largest flower farms. Camp site is adjacent to six acres of blue and purple hydrangeas in bloom. Calla lilies, flowering branches, and other specialty cut flowers are grown on this 64 acre farm and shipped nationwide. Flowers are harvested daily during the summer. Campers may even get put to work if they are not careful. The farm is a narrow strip of land along the Kilchis River for 3/4 of a mile. The Kilchis River is one of Oregon’s premier salmon fishing rivers. The farm’s perimeter is lined with wood chipped trails (exactly one mile around-great for mile repeats). 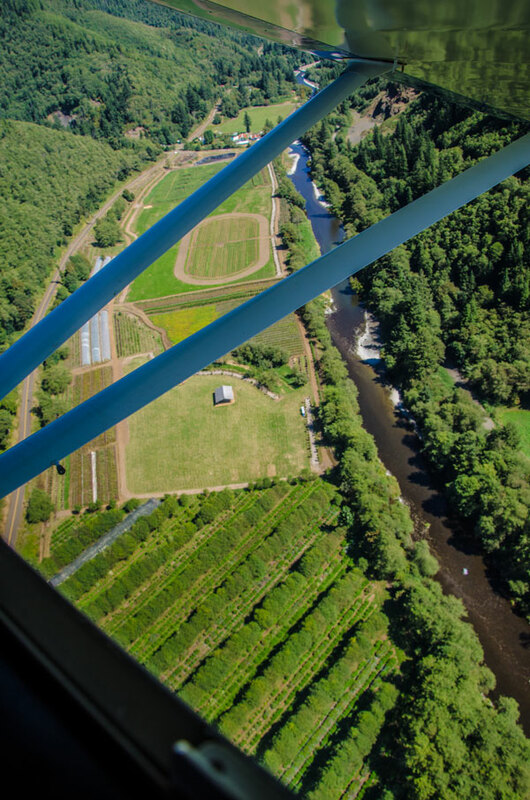 Surrounding the farm is the Tillamook State Forest as part of the Coastal Mountain Range. Camp is about two miles from the bay as a crow flies. The wedding pavilion at The Hydrangea Ranch. A fascinating fact is that the Kilchis Indians also camped on this very farm up to about 100 years ago, fishing the river and hunting wild game. Many arrow heads have been found on this farm. Experts suggest that this farm may have been the site of one of the largest Indian campsites in the valley. I encourage you to find out more about this history at the Tillamook County Pioneer Museum. The Ultimook Running Camp is a true camping experience. Camp is centered around the wedding pavilion as shown off to the right. It is topped with a 19th century church bell that is used from everything from wake up to meal calling. Campers sleep in gender separated greenhouses and take outdoor showers (i.e. dip in the river). “Roughing it” will only enrich the cross country experience. Leave your electronics at home as they are only a distraction to the beauty that surrounds you here as well as to learning and training. The Hydrangea Ranch. Campers sleep in the farm’s greenhouses. We hope that years from now many of you campers will come back to get married here.